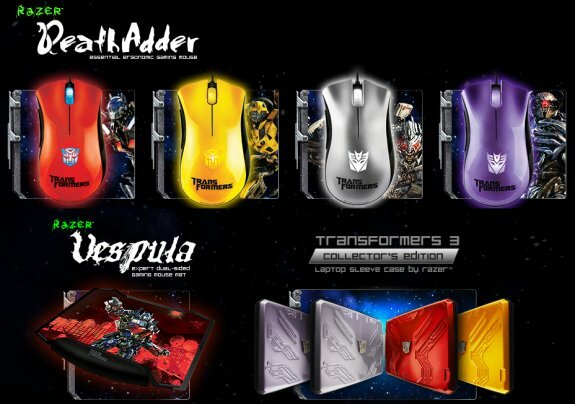 Razer has announced Transformers 3 themed gaming gear; it includes DeathAdder mice, Vespula mousepads and laptop sleeve cases. You can view the full lineup over here. The dark war between the Autobots and Decepticons comes to Earth. Prepare for battle with a powerful Razer Collector's Edition gaming suite including a Razer DeathAdder, Razer Vespula, and a Laptop Sleeve Case by Razer. All these products come designed in the striking colors of iconic Transformers to give your gaming a heavy dose of intense robot power.